Are you one of the millions who crave a new direction in the church, fed up with religious games, empty promises, and cultural Christianity? You are not alone. You are not crazy. Maybe Jesus is ready to interrupt your life. Snatching Jen Hatmaker from the grip of her consumer life, God began asking her questions like, 'What is really the point of My Church? What have I really asked of you?' 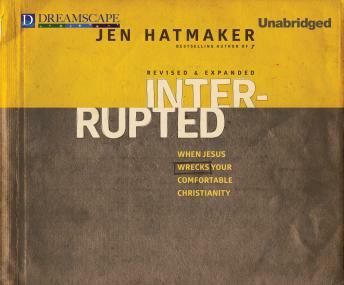 Transparent and imperfect, Jen will engage and inspire you to go beyond comfortable and answer for yourself the question she faced: Is there more to faith than just safe and sequestered, predictable and boring?